The 2018 Intervarsity Rogaining Championships was held in conjunction with the Australasian Rogaining Championships. 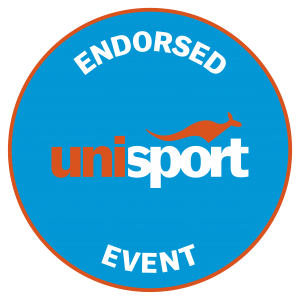 To participate in an Australian Intervarsity Rogaining Championship, students must be enrolled at a tertiary education institution recognised by UniSport Australia. Teams consist of 2-5 students from the same university. Both part-time and full-time students are eligible. There is no age restriction, ie. under-graduate, mature age and post-graduate students qualify. The Nigel Aylott Memorial Sports Foundation (NAMSF) sponsored the re-establishment of the Intervarsity competition in 2007. NAMSF has provided a perpetual trophy for the winning Intervarsity team named ‘The Nigel Aylott trophy’. State Rogaining Associations are responsible for determining their own selection criteria for the NAMSF subsidies (ie. a single qualifying event, or a cumulative point score from multiple events, whether 24 hour or shorter qualifying events). However, for the purposes of the subsidy, preference must be given to under-graduate full time students. Entrants should contact their state rogaining association as soon as possible for details about their selection process for the state representative team. NAMSF is the Nigel Aylott Memorial Sports Foundation, set up in memory of Nigel to encourage engagement in the outdoor sports of rogaining and adventure racing.  Distributions, funding and grants to other organisations for projects or activities that meet the purposes of the Association. Nigel Aylott showed some talent as a long distance runner at school but at university got into the full range of outdoor activities available through the Monash BushWalking Club, which included skiing, kayaking and rogaining. As his endurance and navigation skill developed, so did his success at rogaining, eventually winning the World Rogaining Championships in 1998 and the Australian Rogaining Championships in 2000 and 2001. As adventure racing developed, Nigel saw it as the natural progression from long distance running and rogaining. He loved experiencing the different locations in which the adventure races were set. Nigel competed in several Southern Traverse and EcoChallenge events before teaming up with Tom Landon-Smith, Alina McMaster and Matt Dalziel to form the successful team AROC. Nigel was tragically killed in the 2004 Primal Quest race after being hit by a large boulder dislodged at the top of a gully. Nigel was highly regarded in the community and friends encouraged Nigel’s family to set up this foundation to leave a legacy by supporting the sports Nigel loved and gave so much to.